Emergencies and unexpected expenses can strike when you least expect, and it’s for this reason that saving money in an emergency fund is essential to good personal finance. Life is full of peaks and valleys; a leak from a hot water heater can flood a room, your vehicle might break down and need expensive repairs, or you can come down with an illness that results in costly medical bills. We can’t always be prepared for the physical or emotional challenges life hands us, but we can be prepared to handle the bills. Essentially, an emergency fund is the cash you’ve saved up for the sole purpose of helping you maintain your everyday life as you navigate through an emergency such as an unexpected vehicle repair, a job loss, or an illness. If you’re in a financial crunch, emergency savings will give you the safety net to fall back on until you get back on your feet. But without any emergency savings, you’ll likely end up borrowing money from family and friends, neglecting your existing payment obligations, or putting purchases on a high-interest credit card, all of which can drive you into debt. 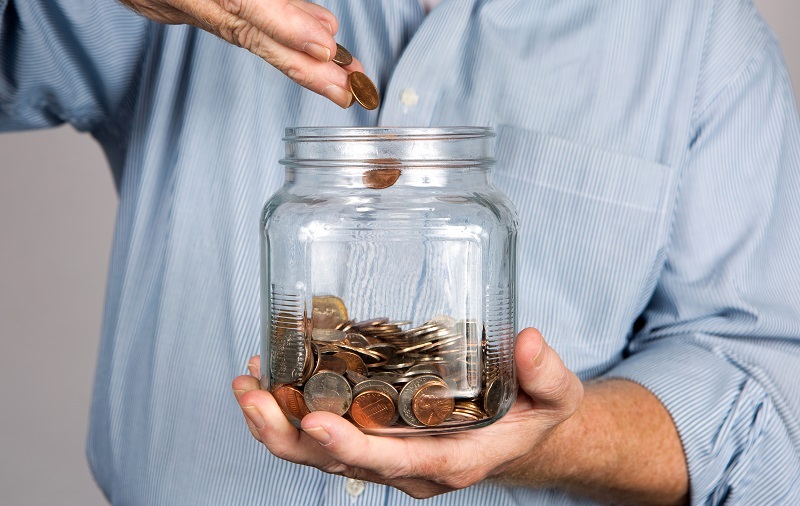 It can be hard to squeeze out a few dollars from each paycheque to funnel into an emergency savings account, especially if you’re barely able to make ends meet. But, it’s for this reason that building your emergency savings should be a priority: if you have little or no savings to handle emergencies, an accident, illness or job loss can devastate a family financially. Building an emergency fund takes discipline, time, and some sacrifices, but it can be done. If you’re not sure how to save for emergencies, we’ve got you covered. Here are some tips for building an emergency fund, so you’ll be able to weather the financial challenges life throws your way. Some financial experts recommend saving for 3-6 months worth of living expenses, and although this is certainly a goal to aspire to, building an emergency fund size of this magnitude is a daunting undertaking, and as a result, many of us throw in the towel before even getting started. It takes a long time to build savings, so it’s important to start out small and build from there. Some people set a large goal for their emergency fund right off the bat, only to discover down the road that it’s going to take much longer than anticipated. Along the way they’ll start to get discouraged, and eventually give up altogether. So, it’s important to set a low initial target – such as $500 or $1,000, which can be enough to cover a car or home repair – and work your way up. If you were to save $40 from every paycheque, you’d reach $1,000 in 12 months. Once you’ve reached your goal, you can set another goal – say $2,000 – and in time, you’ll build your way to a fairly sizeable emergency fund. While you’re building an emergency fund, give yourself time and don’t get discouraged. Even if you were to save $10 a week, you’ll have over $500 in a year, which makes a world of difference when you’re dealing with an emergency. What’s important is that you take action and start saving, no matter how small, and remain consistent. Rome wasn’t built in a day, and the same goes for an emergency savings fund. Once you have a savings goal in mind, the next step is to open a savings account, which should be kept separate from your daily spending account. Shop around and find a financial institution that can give you a savings account with a decent interest rate and no – or low – fees. Do your due diligence and research any fees and charges you may incur by opening an account with a particular financial institution. How much you earn in interest is something to consider, but it’s not the reason why you’re doing this. Having a separate savings account builds a psychological wall between the money you can touch, and the money you shouldn’t touch. If you lump in your emergency fund money together with the funds in your regular chequing account, you’ll be more tempted to spend it because you’ll see it regularly, and it’s easily accessible. So when you’re opening an emergency savings account, take some precautionary measures to keep your money safe from yourself. You can open an account at a different institution from the one you do your regular banking with. If you open an account at your regular financial institution, make sure the account isn’t linked to your bank card, so you won’t be tempted to make withdrawals at the ATM. Now that you have an account designated specifically for emergencies, the next step is to automate deposits so that they go directly into your savings account. You can do this yourself through online banking, or by visiting your financial institution. The easiest way to approach this step is to treat your emergency fund as you would a bill. Incorporate your fund contributions into your budget and make it a point to make a payment at least once a month, as you would for your other bills. If you approach your fund as a bill, you’ll prioritize where your money goes. By scheduling automatic payments to your emergency fund, you won’t have to remind yourself to transfer money to your fund, and you won’t be tempted to spend it on something else. If you can’t see the money sitting in your chequing account, you can’t spend it! What’s important is that the amount you put towards your fund is affordable, realistic, and in line with the savings goal you identified earlier on. The smallest amount will do wonders to help you establish a small nest egg, while instilling a savings mindset and the discipline you need to help you reach your goals. Remember that paying yourself first is the key to building a sufficient emergency fund. With your savings game plan in place, you can sit back and watch your emergency fund grow. But, it won’t hurt to pad your fund with the extra money you come across – whether it be through a tax refund, cash gifts, rebates, or a workplace bonus -- to help you reach your goal faster. When you receive an income tax refund or bonus at work, instead of spending the extra cash, you can use this extra money to bolster your emergency savings account. Use this money to supplement your emergency fund, but don’t depend on it entirely to build your fund. You can funnel a portion of each windfall like this into your savings account, and use the remainder to splurge a little on yourself. If you’ve finished paying off a credit card or your car loan, take the amount you were paying towards that and put it towards your emergency fund. Your budget won’t notice the difference, but your emergency fund certainly will! 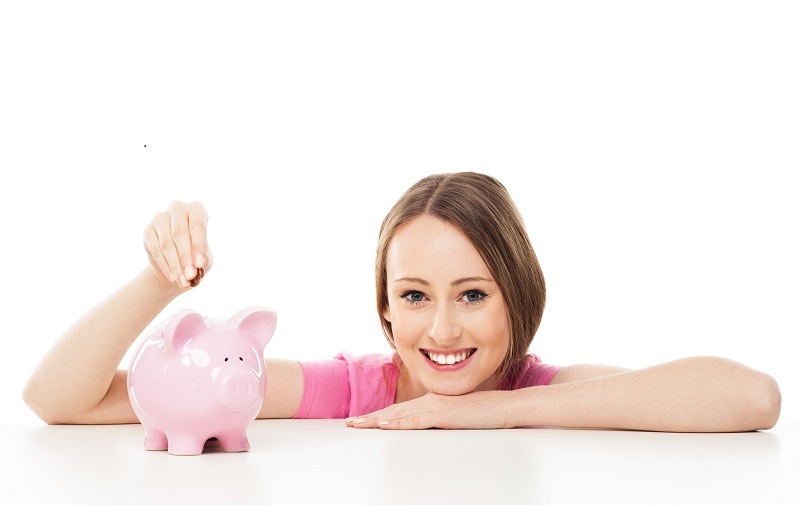 For lots more ideas of places to find extra money to save each month, click here. In addition to funneling your extra cash into your savings fund, increasing your cash flow and cutting back on expenses can make a world of difference. Closets, basements, garages, and storage lockers can be a goldmine for stuff you don’t need, so clean them out and put all your old and unused items on sale on Craigslist or Ebay. You’ll be surprised how many people are willing to pay money for your set of old dumbbells or that bridesmaids dress you wore once. Getting a side hustle is another great way to boost your income. If you enjoy writing, consider freelancing a few articles or blog posts. If you’re particularly crafty, monetize on your skills by selling your wares on Etsy. If you’ve got a few spare hours on your hands, fill out surveys, offer to run errands, or sign up for paid focus-groups. Eat at home more often. Instead of going out to with friends to eat, have a homemade meal at home. To cut costs, make it a potluck. Meal plan based on what’s on special at the grocery store. Check your flyers for specials and deals. Make a shopping a list and take it with you when you hit the grocery store. Having a list will help you stay focused on what you need, so you won’t be tempted to fill your cart and spend extra money. Ask your credit card provider if you can get a reduced interest rate. Whatever money you save on interest charges you can put towards your emergency fund. Review your contracts and memberships. Do you need the bells and whistles on your cellphone contract, when all you use it for is to call and text? Do you have a gym membership but hardly use it? Are you paying for premium cable, which you never watch? If so, consider getting rid of them! Use public transportation more often. You’ll save a lot on gas, and it’s better for the environment. Individually these small cuts may not seem like a lot, but added together they will make a significant difference in the long run. Here are a few other tips to build savings. Having a budget is essential to any financial plan, and just as important is to review your budget on a regular basis to ensure your saving and spending needs are still in line with your current financial situation. While you’re reviewing your budget, ask yourself whether you could be saving more. If you normally allocate $100 to dining out each month, see if you can cut it down by $15, and put the money you’ve saved towards your emergency savings. Same goes for other discretionary items, such as a clothing allowance, entertainment, and personal care. Every little bit helps, even if it’s only trimming your budget by $5 a month. Related: To find more savings in your budget, try out our budget calculator. It helps you build a budget, coaches you through the process, and looks for savings when you’re done. For your emergency fund to grow, it’s important that you use it only in emergencies. As time progresses you’ll start to see a sizeable next egg building up, but don’t be tempted to spend the money on a vacation, a big screen television, or other things that aren’t emergencies. It’s called an “emergency fund” for a reason, so don’t touch the money unless you have a true emergency. If you withdraw from the account every now and then, rationalizing that you’ll make it up next payday, you may be setting in motion a new habit that could take you backwards. Try not to sabotage yourself, and commit to leaving your emergency fund untouched. It’s tempting to use some of that fund money on a purchase you want, but when an emergency strikes, that snowboard you bought or the vacation you came back from won’t pay the bills. Once you can afford it, begin to put some money aside each month for regular savings and save up the money you need to do the things you want. An emergency fund can make the difference between financial failure and financial success. If your car breaks down or if you get laid off from work, you won’t have to squeeze those expenses onto a credit card, dip into your retirement fund or ask a friend to loan you money, all of which can cause you to tumble into debt. Instead, you can take care of the bills yourself without having to re-factor your budget or depend on borrowed money. Saving for six (or more) months worth of expenses may sound unreachable, but don’t let the number intimidate you from starting. What’s important is that you have a savings fund to dip into when times get tough. If you’re in a tough financial spot, saving an emergency fund, let alone saving money, can be difficult, especially if you have debt payments and other financial obligations to make. However, even the smallest savings can be a lifesaver when your financial situation changes unexpectedly. This is a great piece on the need for establishing emergency funds, without a doubt. There are too few who are prepared for job loss, sickness or other adverse circumstances in their lives. This can happen to anyone. At our own site allfinance411(dot)com we discuss quite a number of financial issues that can impact life either positively or adversely. You might also find some great tips to help get you on the right path in preparing for your financial future.